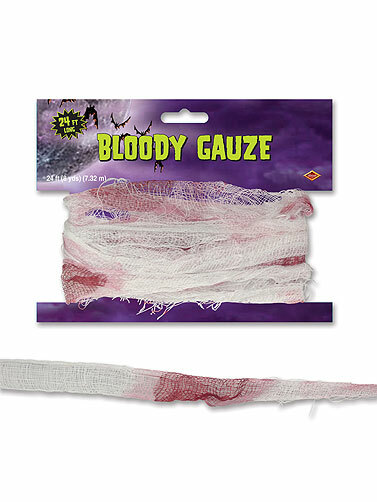 Hang this bloody gauze streamer wherever you need a touch of the macabre. Woven gauze fabric prestained with a bloody look. Bloody Gauze Streamer measures 24'L (8 yds).